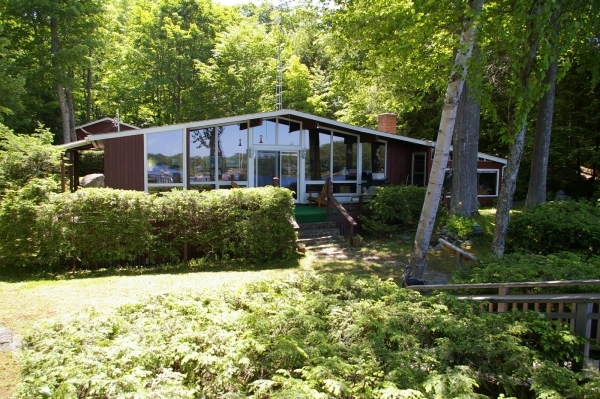 Just minutes from Bala and Port Carling, the Muskokaview Cottage and guest cabin sit on a lakefront property which is well-treed for privacy.The main cottage is fully equipped with 2 bedrooms (Queen and 2 twin beds), a Muskoka room with a double sofa bed, and a 3 piece bathroom with a tub) The open concept living room/dining room/kitchen area, with vaulted ceilings and flooded with light through the large windows, will be enjoyed by the whole family. There is plenty of seating on three comfortable couches in the living room area, and there is satellite television, a DVD and CD player. 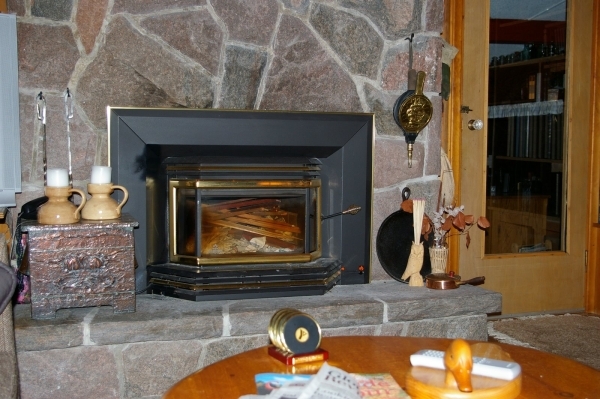 A stone fireplace (with an airtight insert) will take the chill off cool evenings. The dining table seats six. The kitchen is fully equipped and includes a dishwasher. A large bar with two stools separates the kitchen from the dining room.